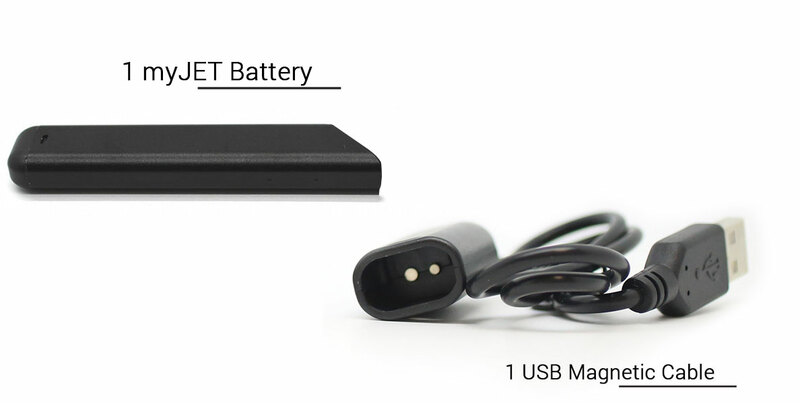 myJET was a collaborative effort between myVapors and Wismec to create an ultra-slim and ultra-powerful nicotine delivery device for current vapors and or those trying to quit smoking altogether. The myJET Deluxe includes four sets of filled e-juice pods in Tropic Blend, Orange Cream, Pure Menthol, and Classic Tobacco. The pod system is a leak-resistant design that holds 1.2ML of any e-juice, preferably a 60VG and 40PG blend for best nicotine and flavor delivery - but will work with most juices currently on the market. 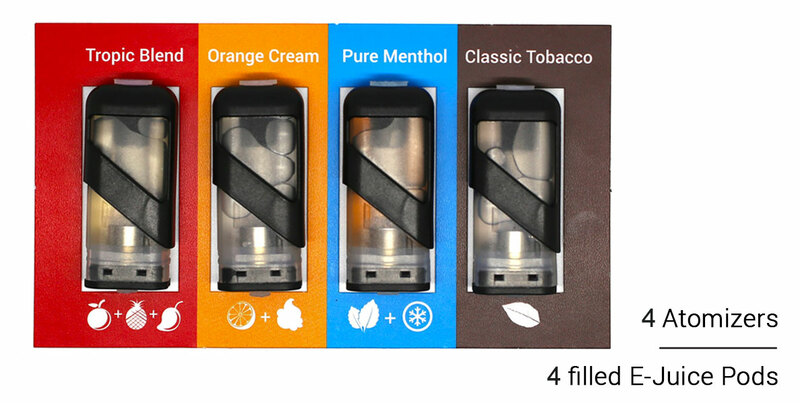 The myJET is the first open-juice pod portable vaping device on the market. 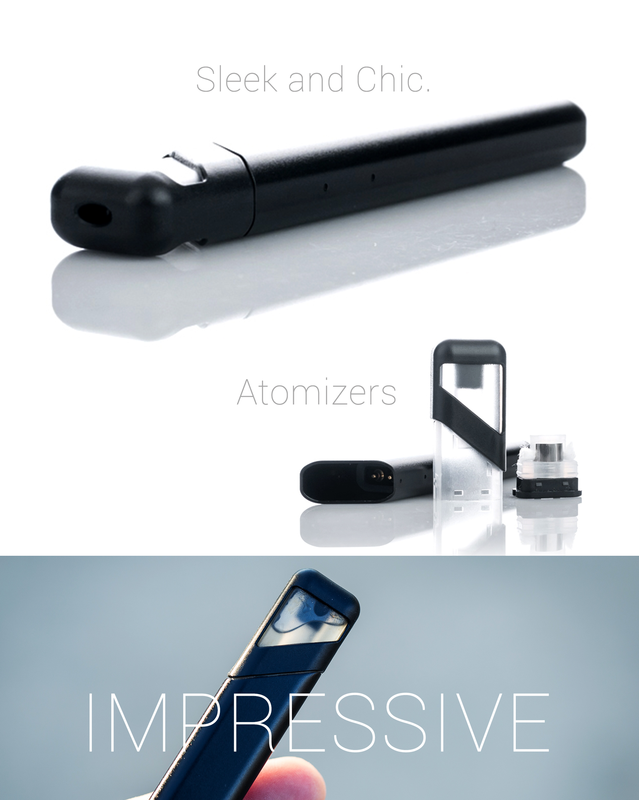 The myJET is targeted towards vapers, cigarette users, or those interested in quitting smoking. * This juice choices for the myJET are endless, from fruit flavors to dessert flavors, there is a flavor for everyone. Elegantly designed, the myJET can be Inhaled Anywhere, Exhaled Anytime.